As the winter settles in Leh Ladakh, the most common question that adventure travelers start to ask is “How to make a winter trip to Ladakh??”. A winter trip to Ladakh is something to be carefully planned because one wrong move can leave you in a life-threatening situation amidst harsh cold conditions. I have already shared a detailed article that outlines the travel plan for a winter trip to Leh Ladakh, which can be referred to as the starting point for planning this adventurous journey. In this article today, I will try to provide some valuable tips to all of you so that you can smoothly plan your trip to Ladakh in winter. 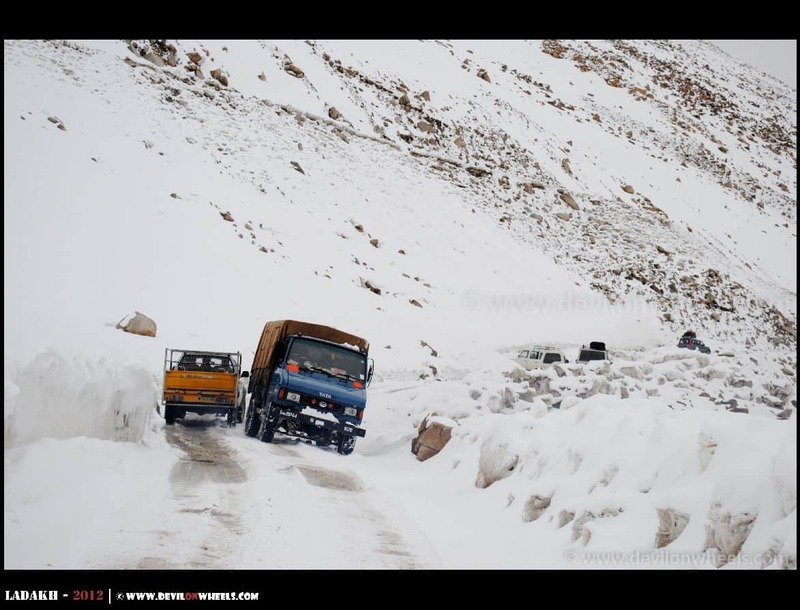 Why Leh – Ladakh in Winters? 1. It will be cold, read very cold, so go prepared well enough!! Most of the high mountain passes start getting snowfall by late October – November. 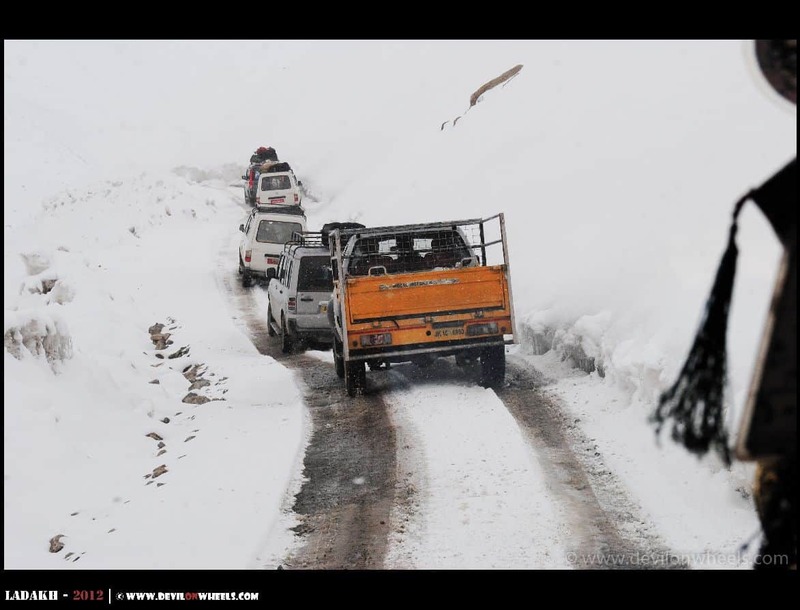 Heavy snowfall closes both the roads to Ladakh, that is, Srinagar to Leh and Manali to Leh. The journey over Srinagar – Leh Highway and especially the Manali – Leh Highway gets very risky to travel by October end due to snowfall at high mountain passes, the black ice on road that skids the vehicles making driving risky and above all extremely harsh cold conditions with not much shelter and food at disposal on these roads in winters. The only option to travel to Leh Ladakh in winters after October is to directly fly to Leh from Delhi. Winter tourism in Ladakh is always special but lately, it is rising like anything. Many senior travelers and lovers of Ladakh including me, who use to love this once upon a time remote place named Ladakh, now see much filth, garbage, and litter in-season time & hence, try to avoid visiting it in summers. PS: You can help save this beautiful heaven from this filth & littering by learning, sharing, spreading and educating these Tips for Responsible Travel in the Himalayas. Given below are some special tips for making a winter trip to Ladakh in the coming season for you. Flying directly to a high altitude place like Leh (3500+ Mtr) can cause serious health issues sometimes if proper care is not taken for Acute Mountain Sickness. And when it is winters, there should be extra care that needs to be taken in order to help your body fight & cope with extreme cold plus high altitude together. Hence, one must always be at least aware of the importance of acclimatization and tips to better acclimatize to an extent before venturing to further high altitude in Ladakh. But, in winters the highways to heaven called Leh Ladakh are closed and hence, flying to Leh in harsh cold conditions in the only option one has on disposal. When traveling to Ladakh in winters, keeping your body hydrated is a challenge. You need to drink plenty of water and water must be warm or hot to drink. Keep sipping black tea, black coffee or hot honey lemon tea to combat cold and still keep your body hydrated. Carry Garlic & Black Pepper too as they provide warmth in the body and supports in fighting the cold. You should go prepared to Ladakh in winter with the heavy woolens clothing, keep yourself covered all the times and do now expose body parts to cold especially the chest and next areas. Wrap muffler around your neck so as to keep warm or keep zippers of jackets closed to cover your neck. Remember that if you get hit by cold then there could be issues in acclimatization as well. It is always good that you carry your own sleeping bag, rated at least 0 to -10 degrees Celsius when making a winter trip to Ladakh. Otherwise, you can buy a fleece sleeping bag which can be inserted into your low temperature rated sleeping bag as a layer to increase the temperature beating. There will be guest houses or home stays offering quilts and blankets and at times heater if you lucky with power availability, but your own sleeping bag will surely provide you that mental satisfaction of survival in such cold conditions. The layers of blankets or quilts can always act as layers of further warmth. 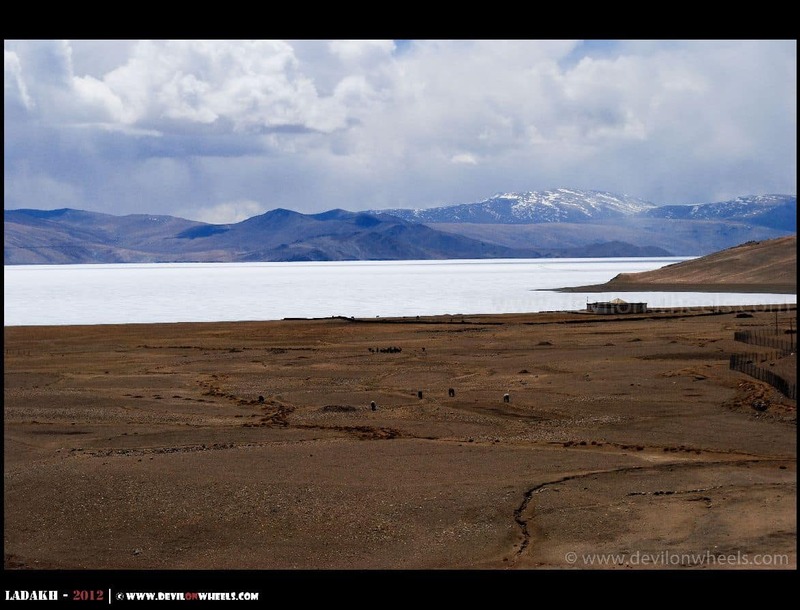 Remember that Tso Moriri will be very harsh, don’t know why, but it will be and hence, in case you plan to visit this lake then better stay at Chumathang which is much warmer place in comparison to other nearby places to Tso Moriri lake. 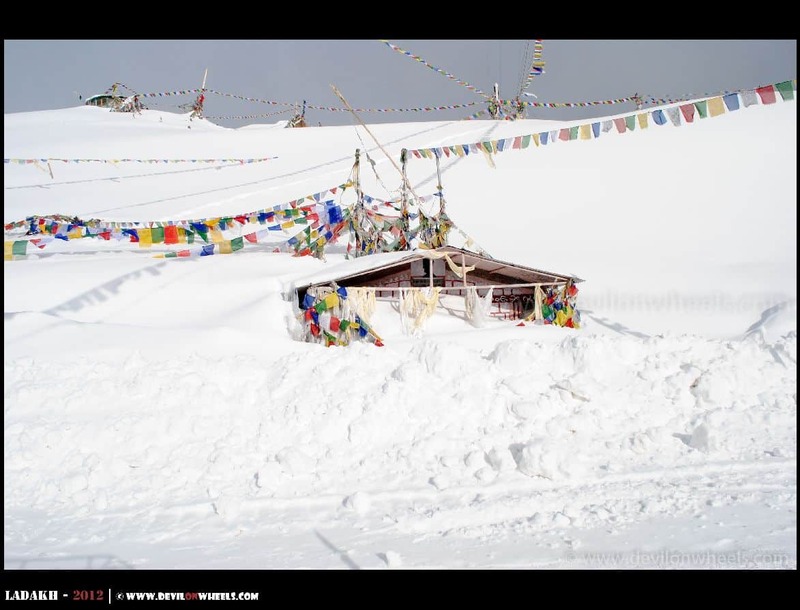 Do not expect much discounts as most of the hotels or accommodation options will be closed for winter in Ladakh. The stay options which will be open, may charge almost the same amount of tariff and sometimes more in order to include heating facilities these hotels provide during winters, of course, that comes with a cost. This is barely limited to Leh only and I am not talking of Nubra Valley or Pangong Tso or Tso Moriri. At these places, you will have to rely on basic guest houses or homestays which are run by the local families in winter. Some hotels even provide rates with meals as it is mostly hard to find food nearby and especially at night I am not sure that you will actually want to walk down the lanes in Leh in bone freezing conditions. So, check for sure about the availability of food before fixing the deal and how charges are being offered, that is inclusive of meals or not. Be ready to satisfy your hunger with basic food of rice, dal and if at all lucky, chapati 😉 on your adventure trip to Ladakh in winter… Maybe just Lamayuru and Gesmo restaurants will be open in Leh main market among the other well-known restaurants in Leh. Do not depend upon ATMs as they might not be functional due to lack of power or less cash. Hence, carry enough cash with you to complete the Ladakh trip. Continuing from stays, taxis will mostly be available as personal taxis only on your winter Ladakh trip. Shared taxis will be rare to spot and most buses also discontinue the services to tourist places in Ladakh. There will be less number of tourists and hence very less possibility to get shared tourist taxis to share such costs in winters. Prepare your budget accordingly, keeping in mind that you might need to rent a private taxi and the taxi prices like we all know are quite hefty in Leh – Ladakh. You can check the latest Ladakh taxi union rates and get in touch with local drivers directly. You can get about 10-15% of discount by directly getting in touch with drivers and of course, talking in person rather on phone always help in bargaining more. As it will be winters in Ladakh, with lack of tourists around there is no need to pre-book any taxis, what I feel personally. 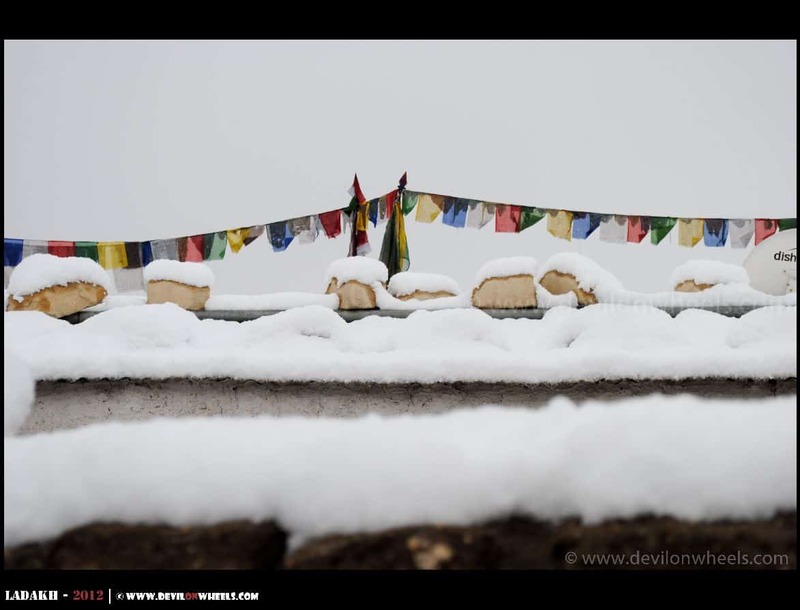 Check weather forecasts before venturing over Khardung La pass or Chang La pass and make sure that there are no signs of heavy snowfall for that very day or coming days. Otherwise, you can easily get caught for 2-3 days in Nubra Valley or Tangste in case it snows heavily on Khardung La Pass or Chang La Pass respectively. It is always better to keep a couple of buffer days for such abrupt snowfall contingencies as many times it also snows in Leh resulting in the cancellation of flights. Hence, always good to have a couple of buffer days to be spent in Leh or making a day trip to Sham Valley for all such contingency cases. Do book a window seat of the flight, if possible on the left-hand side to enjoy some of the magnificent white gold covered aerial views of Himalayas from the window. Since there will be not much tourists around, you can enjoy the places, monasteries along with very very hospitable people of Ladakh in a calm, peaceful and relaxed manner. LAST UPDATED: 3rd Sept 2018 This article has been updated with the latest information about making a winter trip to Ladakh. It is kept up to date every season to reflect the current status. Feel free to suggest any further updates you deem fit that I may have missed. 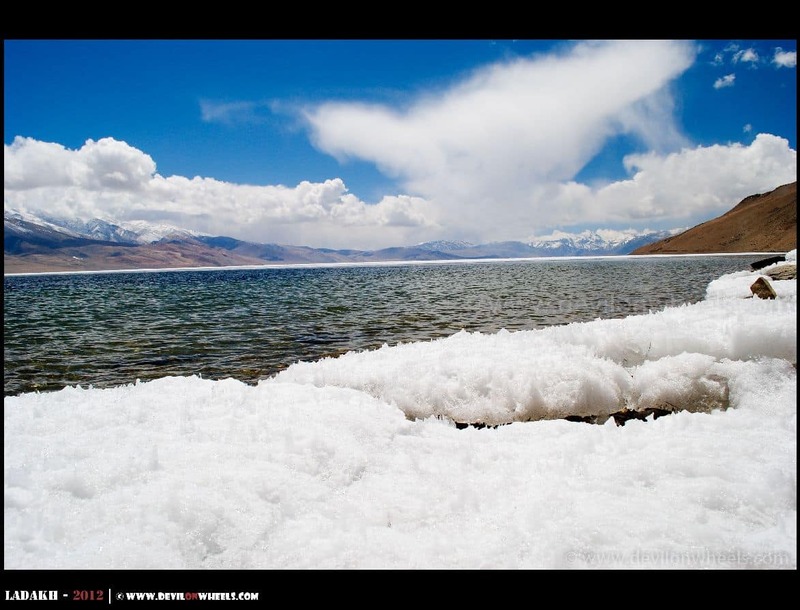 Well, I hope the above tips for making a winter trip to Ladakh will help you on your upcoming trip. I will look forward to any questions or doubts in the comments section of the article. If you have any valuable suggestions or inputs which you would like to share with fellow travelers to help them, please leave them in comments and I will update the article accordingly. In the end, please feel free to share this article will your friends or family who are planning a trip to Leh Ladakh in winter. My sincere thanks for keeping us informed and helping us planning well and keeping ourselves safe. Your effort is highly appreciated. I am from Dehradun and although I have visited Leh once (June 2014), knowing the dynamic Himalayan conditions I still need some help planning my trip this time. If you could please guide me with this. I will not recommend driving to Leh post mid of October. I know over the Internet there are many people, who might, but personally, I prefer a safety over adventure. So, if you will ask me I will not suggest making a trip to Manali Leh Highway beyond mid of October. Anyways, what if I start on 10th through Manali and comback from Kargil-Srinagar around 25th. How risky this would be? Should I do it or I must not? If you think I can please also suggest Dos and Don’ts for driving to Nubra valley and Pangong. hello guy i came to know about this Red Sauce Restaurant which is open throughout the year in leh during this chilling cold with all variety of food ………. Italian, Continental, Mexican, Thai, Chinese, Local food and etc. Red Sauce Dining place is one of the best as its very warm and enclosed restaurant which cater all the chadar trek people and locals. The Best ever thing about Red Sauce is Home Delivery services which helps people to sit back in hotel and get their food on bed. Thank you so much, will be helpful to many people. I have already completed Leh bike trip in June 2016. And I would like to go again in Winter season. So plan is to Fly to Leh and 6-7 days bike trip around the areas and return back from Leh. So is it advisable for a bike trip in winter ?? Please suggest. Well, it will be too cold in Ladakh to do a bike trip. Unless you have proper gear and experience of riding in ice/snow, I will not recommend bike trip in Ladakh in winters. Even experienced guys struggle and mostly BRO does not allow bikes towards Chang La pass and Khardung La pass. Thanks for the advice. 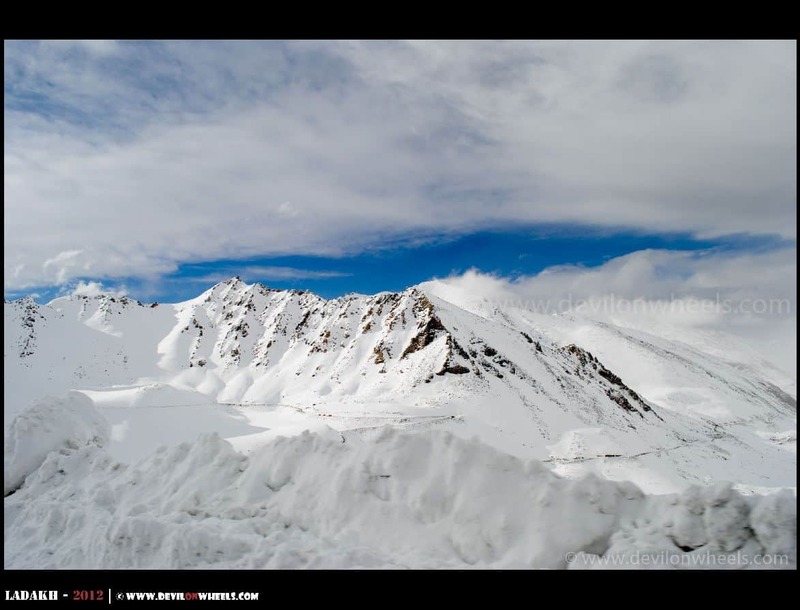 Then when will be the best time to go and enjoy the beauty of ladakh in snow. If you want to in winters, you can go following the tips mentioned in the article above but bike ride is not a good idea. For bike ride you should plan something in late May or early June or mid June when Manali – Leh Highway opens. Sorry Keshav, I wil not be able to comment on that as don’t have such a information. My name is Deepshikha, am from Delhi, Your article is really very informative 🙂 I am planning to visit Leh this winter in Dec last week with my husband. If any one visiting in same time, same dates and would like to join us. Please let me know. In case you are looking out for travel partners, you can submit a travel calendar entry from the menu to increase the visibility of your request. Else in comments it will not be that visible. Thanks for the info, I missed that calendar option. Just checked now but I am unable to select dates. Could you please help me with this? Oops, can you please try some other browser. I am able to do so on my chrome. Me along with 3 other friends planning for Winter in Leh, we all are aged b/w 25-27, we are planning for a 6-7 days stay in Leh-Ladakh and to explore possible itinerary. Could you please tell us what would be the approx expenditure considering the above itinerary you have mentioned for 6 days. Please do reply it would be very much helpful. Hi Sumit, consider about 25K for the taxi and then about 1000-1200 per day for food + stay. I really appreciate your concerned reply and my sincere THANKS to you for this. Is it possible to rent a taxi and take the same to all the itinerary we’d cover ? it’s must to pay differently for different locations. Best is you get one taxi and keep it with you. PRices in Ladakh are based on Point to Point. Example 11K for return trip to Pangong Tso and 11 K for Nubra Valley. For the leh – ladakh taxi union rate list 2016 – 17 including the contacts of some reliable taxi drivers within Leh – Ladakh, check the link here. You can get about 12-15% of discount by directly getting in touch with drivers and of course, talking in person rather on phone always help in bargaining more. How do I book a taxi for all of the travel in Leh ? is it possible only after going there in Leh or is there any other way ? could you please recommend us any guest house which is open in winter with the above mentioned price range (1000-1200 including food.) ? Hello Sumit, try Shanti guest house at Shanti Stupa road for winters. Your blog is amazing, really. Thank you for all the information. I am going to Leh with 2 friends on 12 September 2016 (next week!). We have to fly in to Leh from Delhi. We have actually bought flight tickets to Srinagar as we planned to use road from Srinagar to Leh. But we were advised against it (by a friend who just got back 4 days ago and also by a tour agent – a Kashmiri) due to the current unrest in Srinagar. We’ll be doing the common itinerary (Nubra Valley, Pangong). What’s the weather like now? Any advice? Weather is good and pleasant, couple of spells of snowfall so light woollens and one heavy woollen jacket is recommended. Yes, please avoid route from Leh to Srinagar. I am planning to visit Leh from Oct 25-Oct29, 2016. Please suggest what would be the climate like at that time. and also if a visit to Nubra valley and Pangong Lake are single day tours possible in consecutive days. I will be going with my wife and my 5 year old son. What would be the likely influence of weather on flights at that time. I am going to and from via AirIndia. Please suggest 4 days’s itinerary. Should I skip the Nubra valley and go only up to Khardungla? Which place among the 2 would be best suited for overnight stay the Nubra Valley and Pangong Lake. MY mob number is 8768372233. I am from Kolkata. I will not recommend a 4 day trip to Ladakh that late in the season especially with a kid of 5 yr. Better make a plan with at least 6-7 days in hand and in season time to enjoy the trip. Thanks Dheeraj for the reply and suggestions. I would also like to know what would be a perfect scenario for a 5-6 day trip to leh with respect to itinerary, the routes and also the time when one should visit. Also, what could be the difficulties one 5 year old kid could face, and especially at the end of season in contrast to peak season? These all information I need for my future planning only. Thanks. Biplab, you will be flying in and flying out of Leh? Many many thanks for the very detailed and informative article. I am now prepared to plan Leh next year as per your schedule and as you have said to go there in season time. I will make my Leh trip at Diwali time this year to now a Rajasthan trip. Lake Tsomgo is in Sikkim not Ladakh. Are you sure you refering to it? Or Pangong Tso / Tso Moriri lakes? 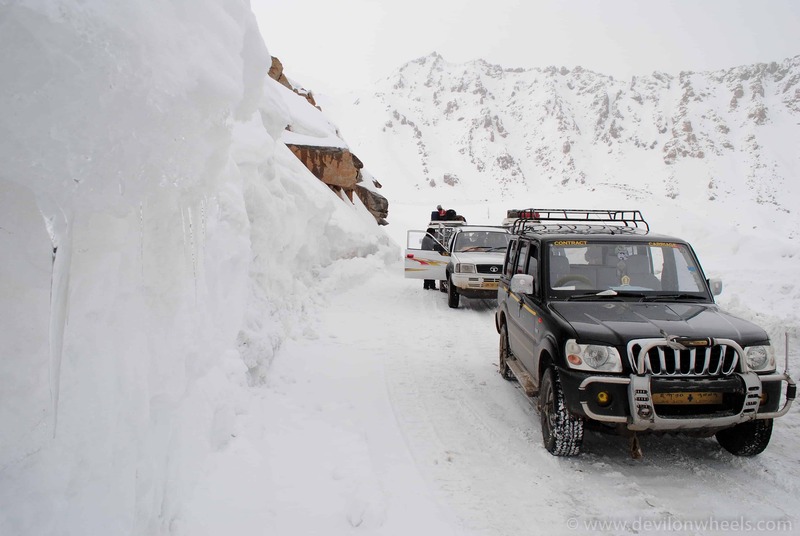 Roads to Pangong Tso remain open all round the year barring few days of heavy snowfall. You will not be able to stay at Pangong Tso BUT you should be able to stay a Tangtse which is 34 KMs before it. The guest houses up there should have heaters too in case light is available. Hi, we are planning to Manali to Ladakh around 1st week of January 2016. Can we go by taxi during that time? Iam frm Kerala …we 3 frnds r planning to kullu – manali on april 8or9 days trip…..
You are planning for Manali only for 8-9 days? Are you sure? Kamal sir, things will be very harsh and cold in Leh during that time of the year. Most hotels will be closed too. Are you sure you will like to give it a try? Even the lakes will be white and frozen. Rest you can follow based on the days and how things unfold up there in Ladakh. Such an amazing post it is. Brief yet capturing the soul of the leh. I have been in september in leh 2 years back for a cycling trip and the weather around that time was great and so was the whole experience of cycling in around leh. Have actually planned this time for a short 5 day trip in feb 16. Need your guidance as to what places can I explore as will be travelling as a couple this time. Plz suggest me I m frm ajmer I plan my travel AJMER to Jammu. Than srinagar, gulmarg, patnitop, sonmarg,leh ladakh..
Second one I plan ajmer to Chandigarh than go to manali and rohtanag…my plan date 11 dec to 18 dec..suggest me which one is better..
Kaushal, please make a plan for some lower hills. The roads to Ladakh are closed and will open next year now. Sir I go vaishnudevi, sonmarg,gulmarg,patnitop.. Thank you Jim, glad you liked the article.